Automatic mobile sampler for time-, volume-, event- and flow proportional sampling of fluids. 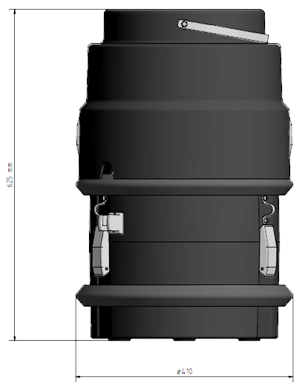 The small and compact design is ideally suited for manhole monitoring. In addition to the proven sampling techniques and the ability to adapt the automatic sampling to your requirements, the BasicEx1 mobil is characterised by an unrestricted use in potentially explosive atmospheres (ATEX zone 1 and 2).